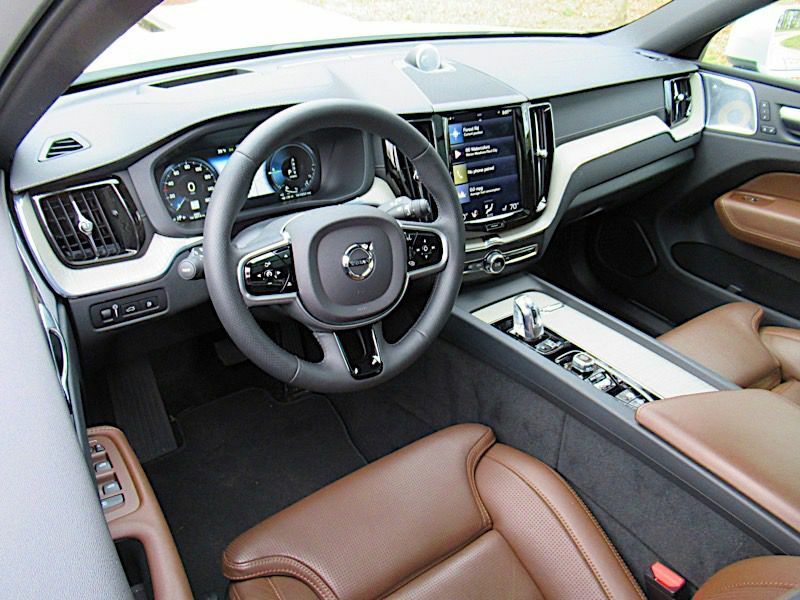 Once known mainly for their excellent safety ratings, the Volvo brand has recently added some fresh reasons to look at its line of premium cars and crossover SUVs: style and luxury. Clean, elegant, and unmistakable Scandinavian, the latest Volvos manage to turn heads without relying on garish design elements or fussy details. They offer stunning interiors that seamlessly meld luxury, technology, and functionality. The 2018 Volvo XC60 compact crossover, priced from $41,500, is one of the brand's freshest models after a new redesign. Like the larger XC90 crossover and S90 sedan, its variants include a plug-in hybrid called the T8, which promises to save fuel while also increasing performance. 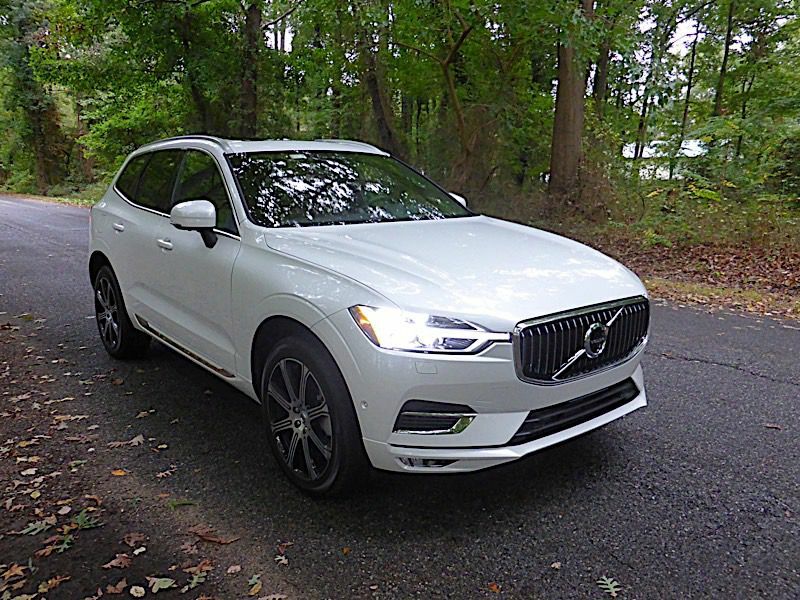 We just spent a week testing a 2018 Volvo XC60 T8 to learn more about this new luxury hybrid. The XC60 T8 mates a 2.0-liter four-cylinder gasoline engine with a pair of electric motors, one for the front wheels and one for the rears. The electric motors give this hybrid some extra kick during acceleration, while also reducing the amount of gasoline needed to power it. Depending on how far down you're pressing the accelerator and on how much juice remains in the battery, you can drive on solely electric power using no gasoline with regularity. 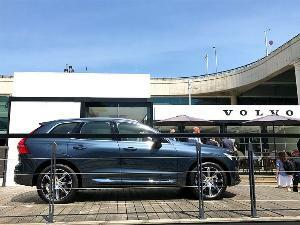 The XC60 T8 is a plug-in hybrid, which means that you can give the battery some extra charge before you set off. Every electron that flows into this Volvo from the grid replaces some gasoline burned by the SUV's engine. You can charge it at a standard household 120-volt household outlet, which takes about seven hours. That drops to about two and a half hours if you use a 240-volt car charger. 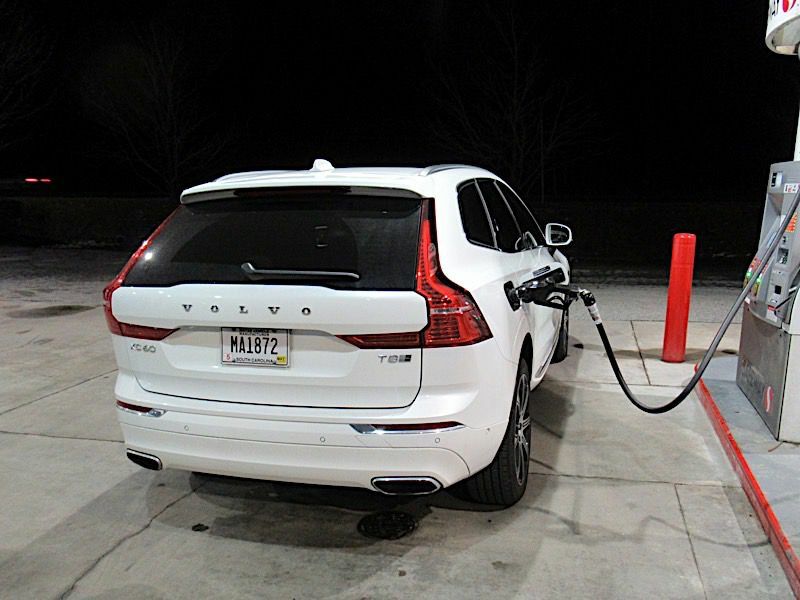 That charge gives the XC60 T8 an EPA estimate of up to 17 miles of purely electric driving, though the gasoline engine may turn on at times to help you accelerate or maintain speed. Once that range is used up, it acts like a regular hybrid. 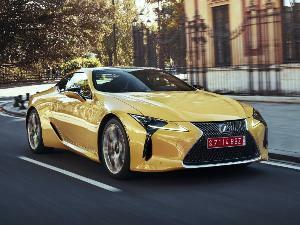 The battery recharges itself as you drive, using energy from the engine and braking friction, so it can still provide some juice to the electric motors. 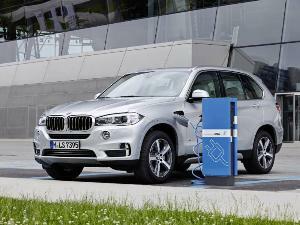 That means you still get some fuel efficiency benefit even when you haven't plugged in recently. The EPA rates the 2018 Volvo XC60 T8 at 59 miles per gallon equivalent, a measurement that looks at both its fuel and electricity usage. 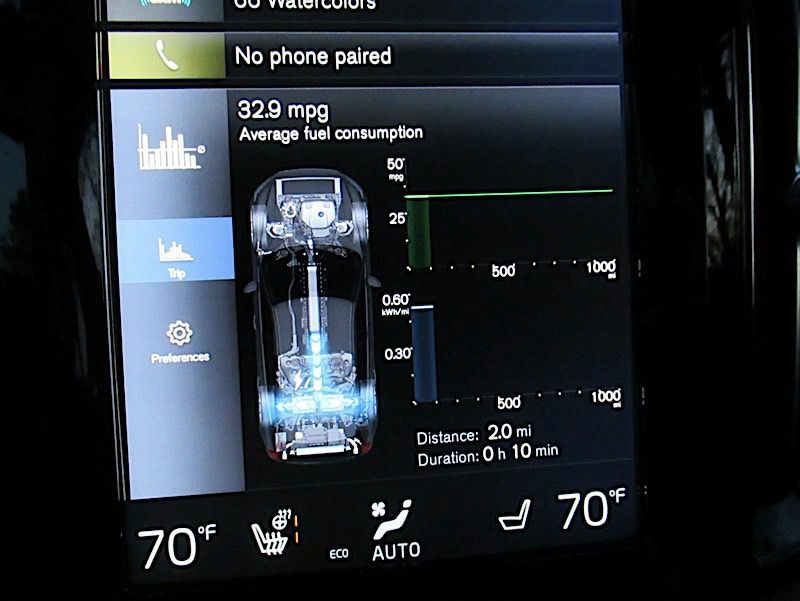 When you haven't plugged in recently, it's rated for 26 miles per gallon on premium fuel. In about 200 miles of mixed driving, which included three recharges, our tested vehicle averaged about 27 mpg. While not exactly Sweden's answer to the Toyota Prius, that's quite good for a powerful luxury SUV. 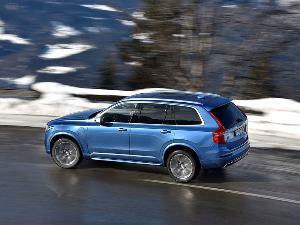 Rather than fitting the XC60 hybrid with a tiny fuel-sipping engine, Volvo turned the T8 into the lineup's powerhouse. 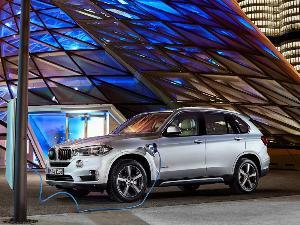 In addition to the two electric motors, its gasoline engine gets a boost from both a turbocharger and a supercharger. The total output is a sports-car-like 400 horsepower and 472 pound-feet of torque, capable of rocketing this SUV from zero to 60 mph in about five seconds. Drivers can select among four driving modes: the default "Hybrid," the most-efficient "Pure," the sportiest "Power," and "Off-Road." The car's battery can also be placed to charge on "hold," meaning that it will use the engine on the highway and save the electric range for low-speed city conditions where you'd otherwise burn the most fuel. Beyond its explosive acceleration, the XC60 T8 focuses more on comfort than on sporty performance. Firm, responsive steering inspires confidence during routine driving. 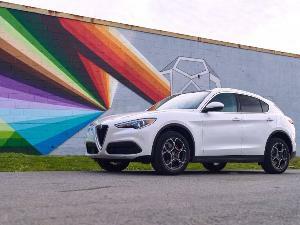 But if you want to push harder around a curve, you'd be happier in a friskier rear-wheel-drive-based crossover like the Alfa Romeo Stelvio, Jaguar F-Type, or Porsche Macan. Our tested vehicle, a fully loaded Inscription model, has big 20-inch alloy wheels. While they're impressive to look at, smaller wheels take fuller advantage of the XC60's comfort-tuned suspension. While the experience remains generally pleasant, the big wheels can slam a little over bumpy pavement. The XC60's interior is one of its high points. You'll find few differences between the hybrid and gas-only models, most notably a small crystal gear selector replaces the conventional one. All models boast a big, crisp 12.3-inch infotainment screen, a graceful dashboard design, and top-notch materials. Our Inscription test vehicle added stunning open-pore wood trim and beautiful metal-covered speakers for the Bowers and Wilkins sound system. 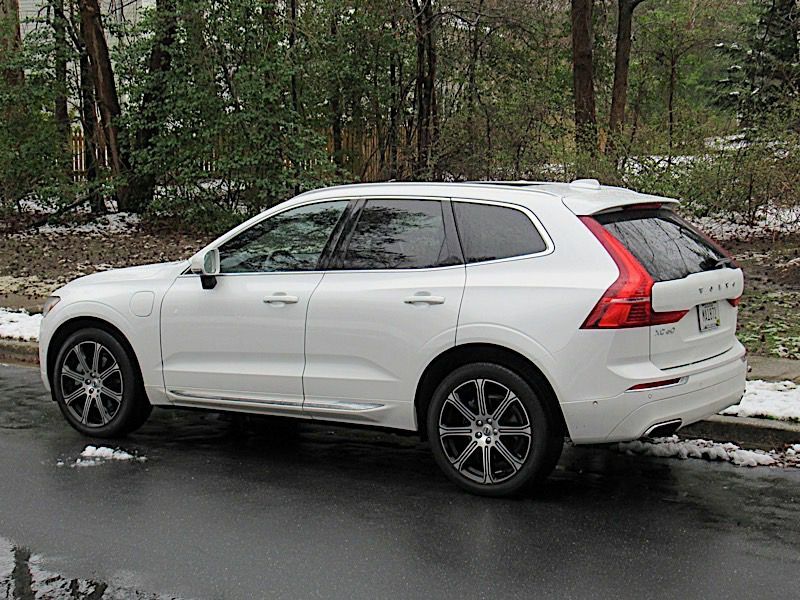 But even the cheapest XC60 has the ambiance of a high-end luxury car. The XC60's interior isn't just nice to look at, it's also a comfortable place to spend time, and has a useful amount of cargo space. 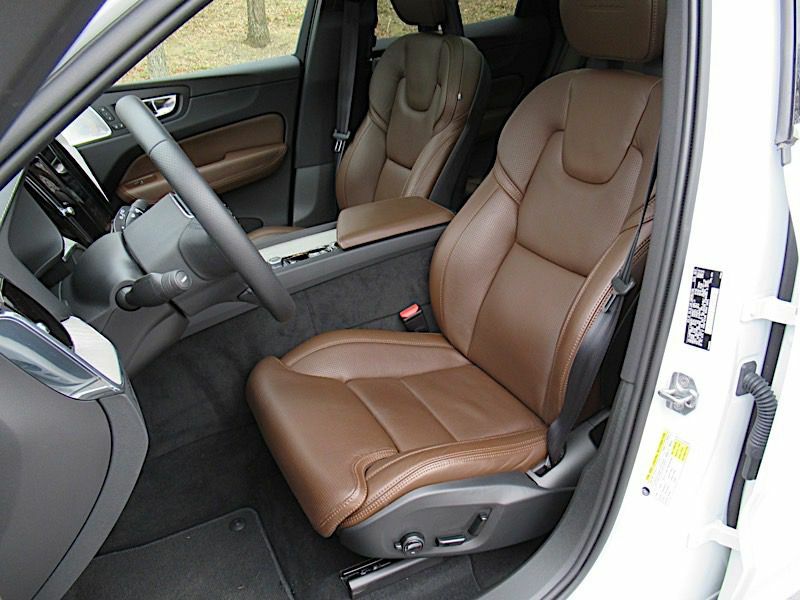 The $3,000 Luxury Seat Package is well worth the money because in addition to the commonplace seat heating and ventilation, it lets you adjust the length of the seat cushions, and even the width of their bolsters. That means that whatever your size you can get a snug, comfortable fit. The rear seat fits two adults comfortably, and the XC60 has ample luggage room. The specifications are skimpy on paper, a maximum of 63 cubic feet (and a particularly tight 17 cubic feet behind the rear seat,) but the cargo hold is so well-shaped that it should easily hold your belongings. 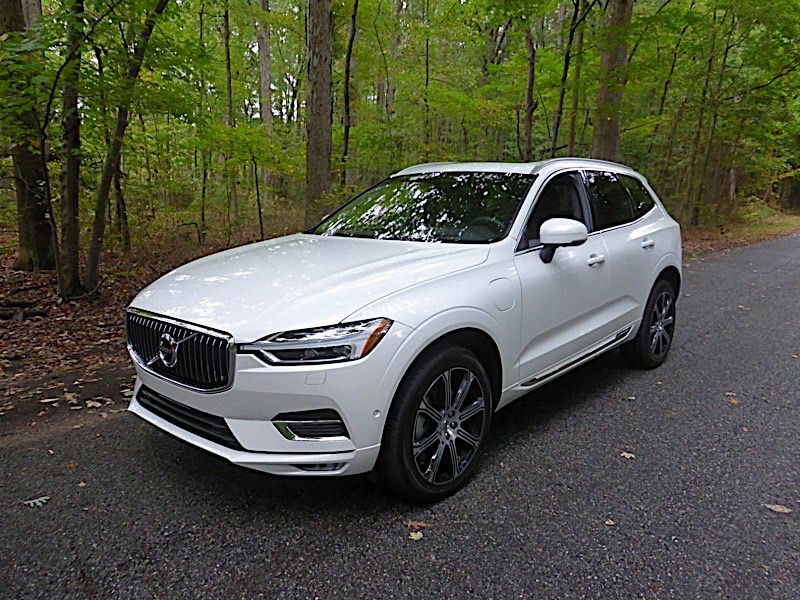 The XC60 hybrid's base price of $52,900 sounds steep compared to the gas model's $41,500 entry point, but factor in the T8's extra horsepower, some additional standard equipment, and it's not a bad deal. 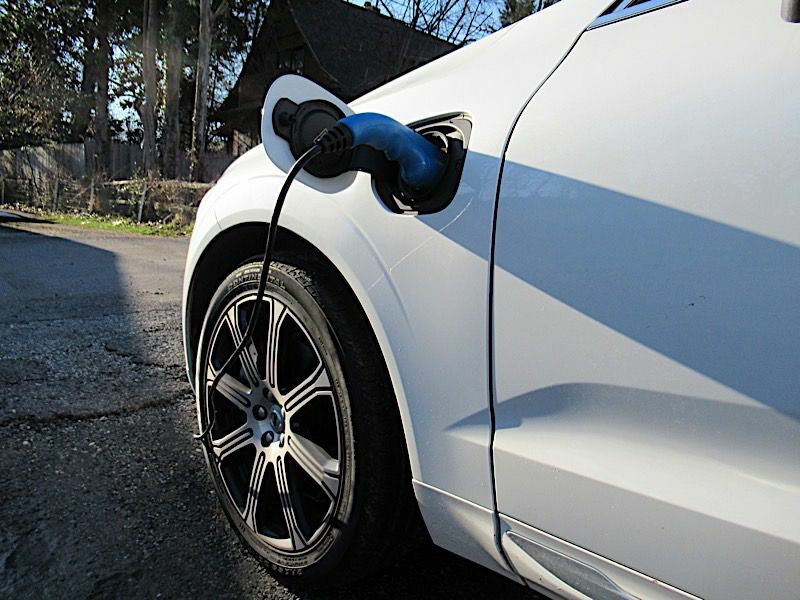 You can also get tax incentives for buying a partially electric vehicle including a $5,002 federal tax credit, plus additional perks in some states. Considering those factors, the Volvo XC60 T8 hybrid is no more expensive than the mid-range T6 model, which has the same engine minus the electric motors. It's also similarly priced to its closest competitor, the plug-in hybrid version of the Mercedes-Benz GLC, and to the Lexus RX 450h, a hybrid that gets an impressive 30 mpg but can't be plugged in and has no tax incentives. 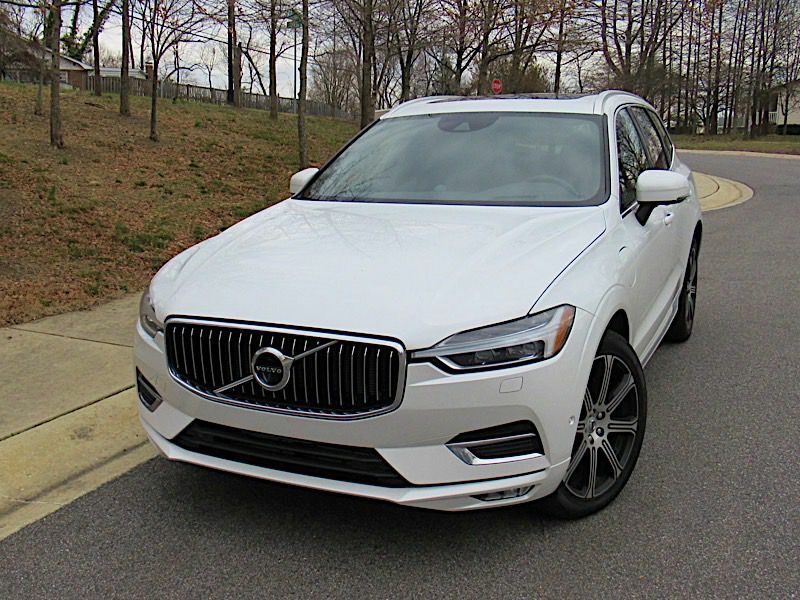 The 2018 Volvo XC60 Hybrid provides a unique blend of thrifty fuel efficiency, exhilarating acceleration, and sumptuous interior decor at relatively affordable prices. Neither the Lexus nor Mercedes hybrids are as quick as the Volvo, and the 380-horsepower plug-in Porsche Cayenne costs upwards of $80,000. 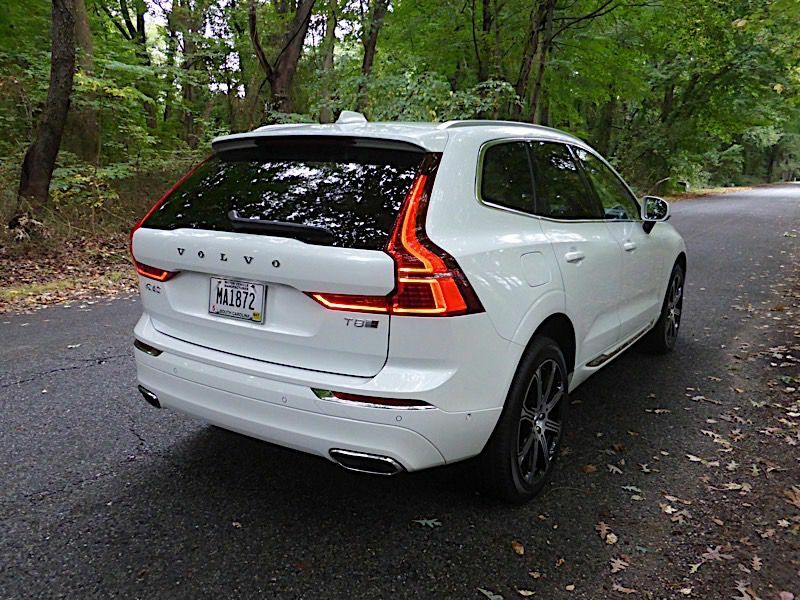 If this sounds appealing, or if you're looking at the XC60 T6 and wouldn't mind some extra power and efficiency for a similar price, be sure to check out this option of Volvo's compact crossover hybrid.